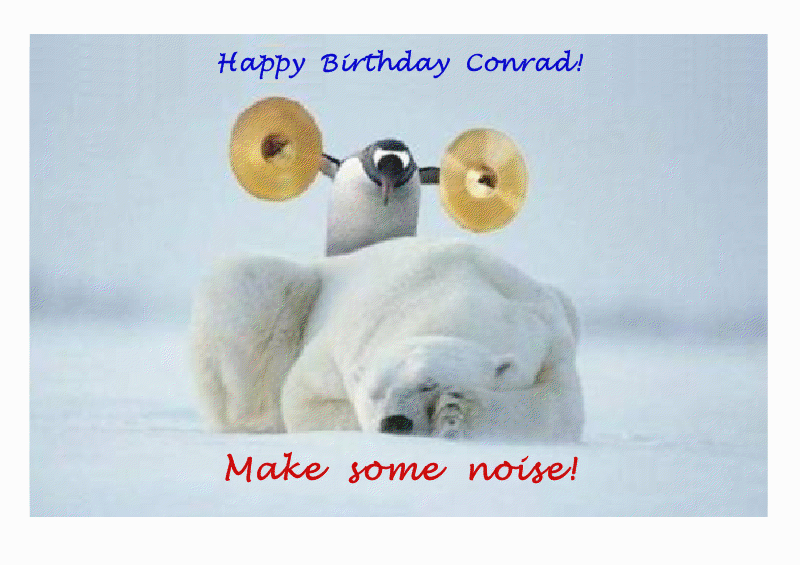 I received this card for my birthday and thought it was a great musician birthday card. Recently I’ve been watching quite a few Broadway musicals to see elements that I like and dislike in each. My co-workers have enjoyed very much watching me go into video stores in China and say “Excuse me, where are you musicals?” And everytime they bring me CD’s of Western pop artists. In fact, a local guide has told me there is no way to explain “Broadway musical” to a video shop owner here in China – they don’t understand what it is. So my friends say “Broadway musicals? Why don’t you ask them where the Barbara Streisand section is?” Yeah, very funny guys. I’ve got a friend back home who says “I hate musicals. They don’t make any sense. I like plays, they’re more real.” Then he asks me, “Do you like musicals?” And my reply is, “I HAVE to like musicals. After all, I’m a musician, I need to work!” But truth is, I love the cheeziness of musicals. I think it’s a kick. Q&A – What is the best tempo for a song? I am an artist from Adelaide, Australia and am curious to know how top producers/engineers detremine what tempo a particlar song should be played at. Much of my songwriting stems from a vocal melody, and when everything seems to be â€œbuiltâ€ around that, the overall song tends to somewhat drag a little. Is there anything I should go by in order to get the perfect tempo (slow down vocal or riffs)? I hope you can be of some assistance and thank you immensely for you time. What an incredibly fantastic question! As usual I busy myself with complicated things thinking I am making a difference in the world. You know, I have never addressed this question online – So here you go. Your fast answer is this: There is no correct tempo for any song. The declaration of tempos and phrasing has becoming more specific over time. In early music composers would not notate tempos (or phrasing for that matter). It was assumed that any musician was trained enough to just “know” the correct tempo. As you can imagine, many pieces sounded different than we hear them today due to varying tempos. Even up to the Baroque Period (1685-1750) tempo markings were virtually non-existent. In my manuscripts of Bach there are not tempos or phrase markings. Editors have added these, usually in lighter print, to indicate how the piece is USUALLY played. As a composer I cannot even describe the pain to hear someone play your own piece incorrectly. I once wrote a book of progressive etudes for piano. The book graduated in difficulty for serious piano students. I had to listen to a university professor play my pieces entirely wrong. I still hold a grudge over that and I hope that an eternity of fire awaits him for his transgression. Back to tempo……. Over time composers have realized if they want a piece played a certain way they are obligated to mark it so. A hundred and fifty years ago songs might include tempo markings like “Allegro”, “Andante”, etc. Then more info like “Allegro non troppo” or “Moderato con anima”. In modern music it’s common to see specific metronome markings like MM=116 – which usually means the quarter note is going to be 116 beats in a minute (depending on your time signature, blah blah blah). All of that to let you know this: I would suggest you mark a specific tempo in your music with a definate metronome marking of beats per minute. Example: MM=120 or simply write: 120bpm. In hip hop music I’ve found artists don’t like to push the beats, so I set tempos on the slower side for rap. If an artist says it “feels right” at 92bpm, then I’ll click it to 90bpm. Rock bands like to push things a bit, so if I’m setting a grid and the band says it feels right around 112, I might click it to 115 or so. In general I’ve found the tempos I set during production need to be bumped a bit for the final. If I write a song at 120, it’s just a habit to start bumping it up to 124 as I work on pre-production. THE REAL TEST – Don’t settle on a tempo until you’ve heard it several ways. Keep bumping up a tempo until you’re absolutely sure it could not go any faster. Then take it so slow that you’re absolutely sure it can’t go any slower. This starting point gives you your window. Want to know how I learned that? By clients who knew little about music telling me to bump it up. I can think of several songs that I had started to work on around 120bpm and ended up being in the 150’s. When the client told me to bump it up I would roll my eyes at them – but you know what – sometimes it works. Experiences like that make me very humble, and I have to always remind myself that the most genius ideas can come from anybody at any time. Finally to your real answer – most songs just have a groove where they feel right. Once you’ve identified the window, don’t settle on a tempo until it feels like “ah…….that’s it”. To me, it quite literally feels like you finally settled down into a bean bag chair. It will just feel right, and you’ll know it. During preproduction I absolutely OBSESS over the tempo and key, and it’s not uncommon for me to change either several times before laying real audio tracks. Sometimes I’ll even give songs a bump of two or three BPM’s during the final mix. Some genres have fairly defined tempos – Euro Dance is almost always 130bpm. An example of Euro Dance would be “Barbie World”. 60-70bpm is a good tempo for healing music and audio therapy, many people like the purity of the clean 60bpm. I’ve done a lot of rap soundtracks in the 68-86BPM range. It always feels too slow at first, but the artists lock it down if their rap is seasoned. Have confidence in your tempos. It is one part of what makes your productions have “your” sound. And remember, they are hiring YOU for your sound, so you need to do what YOU hear. Stick to what YOU hear, and you will never have to second guess how things should be. The next producer will set it at a different tempo according to their ears. My biggest suggestion, don’t settle on a tempo until you feel in your gut that it’s right. I had a production where the director ordered me to bump tempo of all songs because the show had no energy. As a result, all of the songs lost the “pocket” feel for me, I didn’t like it at all. To me this is an incorrect use of tempo. Tempo is about groove and feel for a piece, not for pumping caffeine into a dead horse. But I always yield to the Director, it is their vision you need to feed into. They were happy with this so I did it, but with much pain. I hope you don’t find yourself in a similiar situation. Always know the pecking order, and always know who you need to answer to. Some day you’ll be the head producer, and you will really appreciate others following your lead when you have a vision for a piece. I hope this helps. I’m happy to provide more info….but I have blathered on so long you are probably currently asleep at your keyboard with drool running down the monitor.